Film Plot: After an unusual meteor shower leaves most of the human population blind, a merchant navy officer must find a way to conquer tall, aggressive plants which are feeding on people and animals. Grade: C7	Fine to Very Fine. Folded, single-sided. 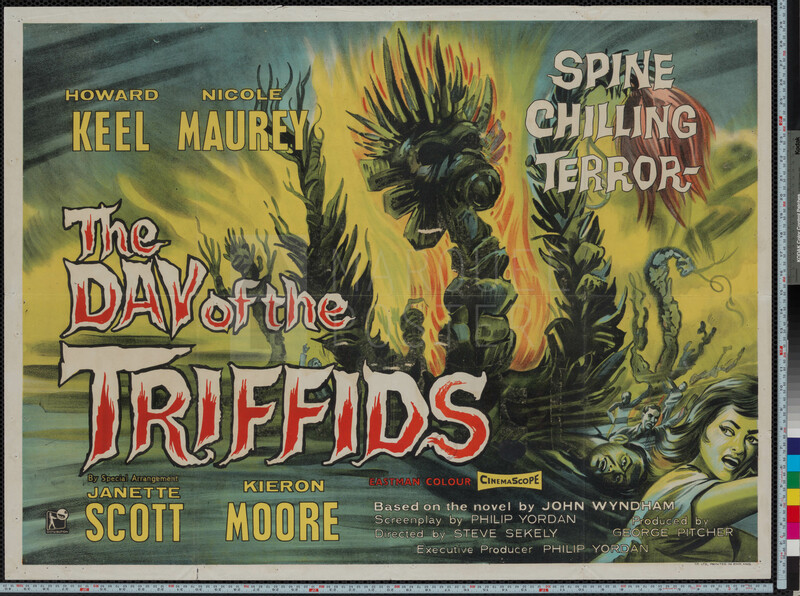 Theater-used stone-litho poster with wonderful colors. 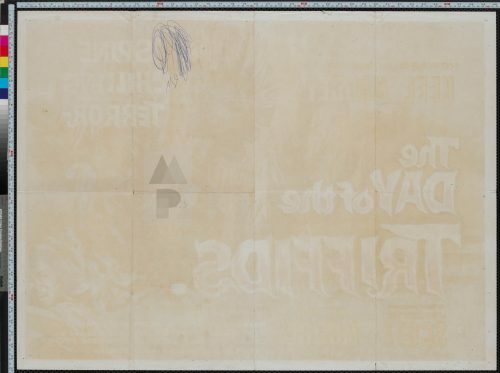 Some handling/edge wear, multiple pin holes around the edges and corners, censor stamp visible on 'S' in 'TRIFFIDS' and 'x' rating colored over in black paint. 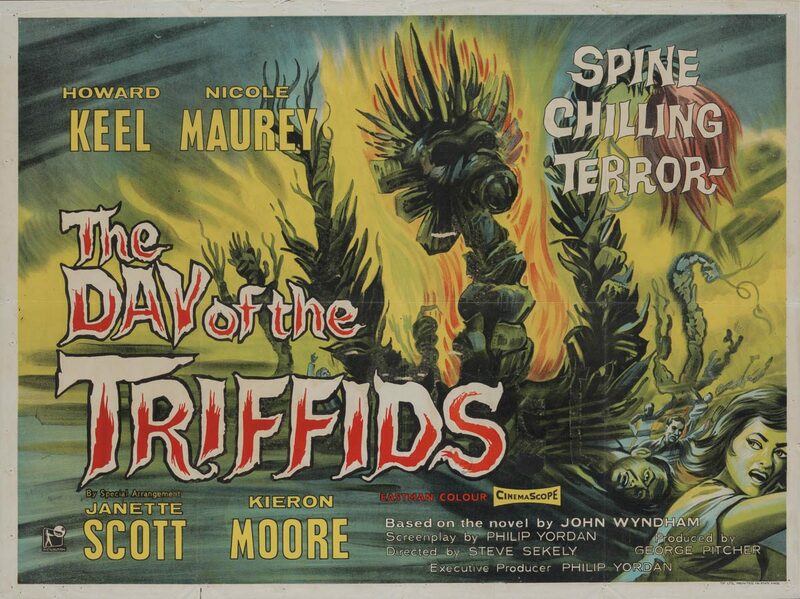 Day of the Triffids is the most British of sci-fi films… having both genuine scares and at the same time plenty of unintentionally funny moments 🙂 With vintage film posters, country of origin is usually the most valuable (something carried over from book collectors), but in this case this UK quad also happens to have by far the best art for the film — a rare combination which makes this poster a long-time favorite of horror fans!